So you like guns and you have always wanted to try engraving. Here is a chance to learn from one of the best. Engrave on steel practice plates. You will need to supply your own equipment. The course is designed for using air-assisted equipment and power hones. 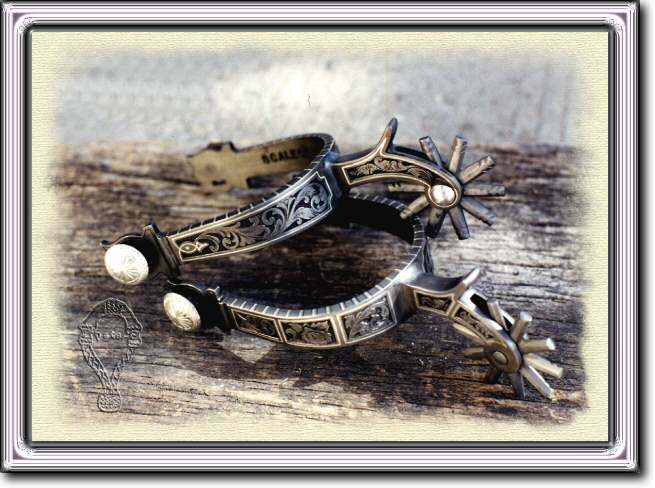 Instructor, Diane Scalese is a full-time engraver and has been engraving trophy belt buckles, saddle silver, bits, spurs, jewelry and firearms for nearly 30 years. She was named Engraver of the Year in 2003 by the Academy of Western Artists. She resides in Big Sandy, Montana. This class is part of the Short Term Gunsmithing Program @FVCC, for a full listing of classes for 2018 click here. Are Motor Vehicles More Dangerous Than Firearms? First of all it’s pretty difficult to take seriously the premise that guns are more dangerous than cars. In 1994 the Center for Disease Control (CDC) release a publication which made the exact same claim. According to that article firearms related deaths would exceed the number of deaths related to vehicle crashes in the United States by 2003. We are ten years past that prediction and it is not even close to coming true. When you look at the number of firearms in the United States as apposed to the number of motor vehicles it is obvious that firearms are far safer. The CDC actually breaks out a listing specific to death caused by “accidental discharge of firearms”. For 2010 there were 606 such deaths, in the same period there were 37,961 deaths in “transportation accidents”. There are an estimated 245 Million motor vehicles in the U.S. and estimated 310 million firearms. Firearms are designed to produce damage to the target. Vehicles are not intended to do any damage at all. Take into consideration that there are about twenty percent more guns than cars in the U.S. you would expect far more accidents with firearms. The reason you do not see this in actuality is that the law abiding citizen who owns a firearm are by their very nature disciplined. Firearms owners on average know the responsibility of owning a gun and take it seriously. Consider that millions of rounds of ammunition are expended every year in practice, competition, plinking and hunting. The tiny number of deaths legitimately attributable to firearms accidents is proof of the great care and thought that goes into properly handling guns by law abiding citizen. Some of you may be screaming that I left out a lot of deaths that are tracked in the CDC data related for firearms. There were 19,392 suicides using firearms in 2010 and 11,078 homicides that involved a firearm. Terrible as it is, these were intentional acts, not accidents, so they do not belong in a comparison of the danger of firearms vs. motor vehicles, unless you have an agenda that is opposed to firearms. In the United States, motor vehicle-related injuries are the leading cause of death for people age 5-34. Suicide and unintentional poisonings are more common than death by accidental firearms injuries. The unintentional poisoning category is a growing cause of death. Beginning in 2004, poisoning deaths outnumbered firearm deaths and have increased at a greater pace than firearm deaths since then. Unintentional drug poisonings are the largest component of poisoning deaths; they are primarily related to drug overdose and their rates of increase have outpaced those of all poisonings. Often the statistics for firearms deaths are commingled so that it is difficult to determine if the deaths are due to negligence. Occasionally justifiable force by law enforcement is included in the numbers, further muddying the waters. It’s popular to attempt to make firearms seem more dangerous than they are. The CDC often reports all firearms related deaths as “injury death”. This is misleading because it includes homicide and suicide in these statistics. We would not do this for motor vehicle deaths. Strictly speaking the later two (homicide and suicide) are not unintended injuries or accidents so they do not belong in a comparison of accidental death. Simply looking at the accidental deaths related to these tools the motor vehicle was involved in 62 times more deaths than firearms in 2010. Below are the top ten causes of death according to the CDC. There is much more to be gained by concentrating on these problems than on guns. But that’s not as dramatic. Flathead Valley Community College Builds Gunsmithing Program. The Flathead valley has a long history of custom gun makers operating in the area as for back as the 1950’s. Numerous rifle barrel manufacturers large and small have made the area home from time to time. More recently, a large number of gun businesses have taken up residence. In 2011 Chris Hyatt, of Whitefish, formed the Montana Firearms Institute as a 501(c)3 nonprofit along with state Sen. Ryan Zinke, and attorney Duncan Scott, seeing a need to foster communication between firearms businesses, and to help those small businesses compete for government contracts. The MFI has been instrumental in drawing attention to the need for gunsmithing classes at the college level. So, along with the MFI, local businesses looked to Flathead Valley Community College (FVCC) to help improve the quality of perspective and existing employees in the valley by offering training. The firearms trade requires a wide range of skills that are not readily absorbed from standard machine shop and wood working classes. There are many specialized skills and tools that make the job of building guns easier and more efficient. The next closest schools that offer gunsmithing courses are in Susanville, California and Denver, Colorado. So a gunsmithing school here in the valley will have a large audience. The first round of classes were held in 2012 and were successful by every measure. FVCC is currently seeking NRA Affiliation for the gunsmithing program, which may make available a wider range of classes and support from the gun industry at large. For more information on these classes visit the FVCC Web site, link below. Bob Costas and Jason Whitlock are Intellectually Bankrupt. NBC sportscaster, Bob Costas often provides commentary at halftime during the weekly Sunday night game. This week he addressed the weekend’s murder-suicide involving Kansas City Chiefs linebacker Jovan Belcher. Belcher shot and killed the mother of his 3-month-old daughter, Perkins, on Saturday morning December 1st. A short time later he committed suicide in the parking lot of the Chiefs’ practice facility at Arrowhead Stadium. Meanwhile in CASPER, Wyo. — Casper Community College instructor was killed in a senseless classroom murder-suicide Friday, November 30th. Police said James Krumm, 56, gave his students time to flee by fighting the attacker, his son, after the younger Krumm walked into the computer science class and shot James in the head with an arrow. It was later learned that Christopher Krumm, 25, of Vernon, Conn had stabbed to death his father’s live-in girlfriend at the couple’s home prior to the on campus attack. When police arrived at the classroom after the attack, they found Christopher Krumm bleeding from self-inflicted knife wounds and taking his last breaths. James Krumm was dead at the scene, Casper Police Chief Chris Walsh said. Bob Costas and Jason Whitlock are either intellectually dishonest or just plain morons. Mentally ill people sometimes make fatal decisions for themselves and occasionally they include others. Is that fact tragic? Absolutely. Does it affect the lives of family, friends, and even the community? More than we will ever know! Does it mean we need more laws and public policy? In most cases I would argue the answer is a simple; NO. Instead they use a car, a bat, their hands, or as in this example a bow and arrow backed up by two knives. It’s not about the weapon. It’s about the violent act they wish to perpetrate on others. Saying that Belcher and Perkins would be alive today if Jovan Belcher did not have a gun is intellectually bankrupt. In all likelihood he would have found a way to produce the same result. It’s easy to blame the weapon. Then you don’t have to deal with the people involved and analyze what really went wrong. When a person tells you that a gun makes it too easy; that is a confession of the quality of their character. They don’t trust anyone but themselves to have good judgment or self control. Look hard at the person who blames the weapon and does not place responsibility on the perpetrator. They are dangerous to themselves and society, because they are pandering to emotions, either for power or to make themselves feel better. Thank God for the mute button! I will never again hear Bob Costas spew moronic opinions. Below is an Associated Press story about lead in ammunition. Note that no scientist is going on record in this article and the there is no evidence presented. Just could be or maybe. Since the Jackson area is part of the Yellowstone caldera there are large amounts of heavy metals and minerals found in the area. Isn’t it more likely that the lead found in the blood of animals in the area comes from their diet. What happened to you are what you eat? The predators and scavengers of the area feed on the animals of the area and drink the same water. Why would they not have heavier levels of lead in their blood. Being higher on the food chain mean predators and scavengers food sources have already concentrated environmental metals and contaminates in their tissue. So it is easy to see why such predator and scavengers have more lead in their blood. I hate junk science, and worst of all, tax payers probably paid for these “scientists” to be out there pushing their personal agendas. JACKSON, Wyo. (AP) — Researchers say the distribution of nonlead ammunition to hunters in Jackson Hole is likely helping prevent lead poisoning of ravens, eagles and other scavengers. This is the second year researchers have tried to gauge the impacts of hunters using lead-free ammunition on the levels of lead found in the blood of big-game scavengers. Researchers distributed nonlead ammunition to some 100 hunters who had 2010 permits for the National Elk Refuge and Grand Teton National Park. Biologists then captured ravens and eagles and measured the level of lead in the birds. Previous research has shown that lead in ravens and eagles rise during hunting season and then drop off after hunting season ends. The Jackson Hole News and Guide says researchers plan to hand out more lead-free ammunition next hunting season.